As 2017 comes to a close, we’re excitedly planning the various ways we can support our members in the year ahead. 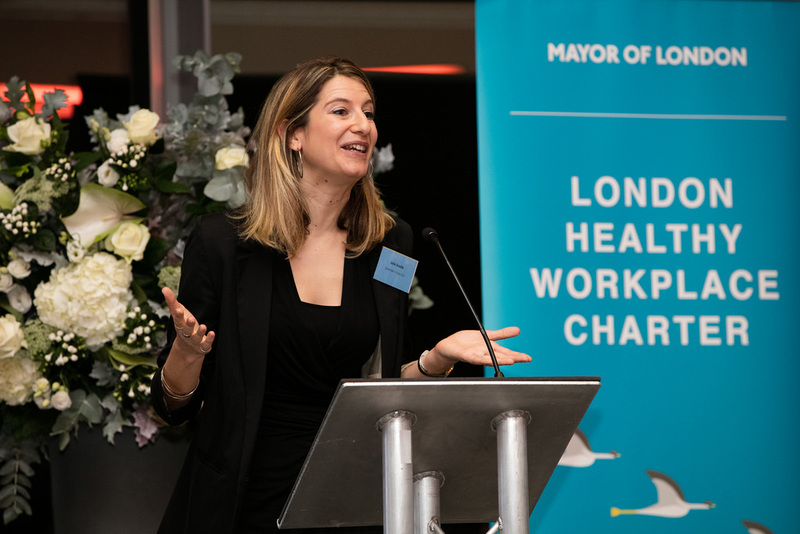 We’re happy to announce that we have secured dates for numerous free training sessions, including counter-terrorism measures, emergency first aid, fire marshal training and mental health awareness for managers. You can register your interest now with Ruth in the BID team for any of the courses below. Watch this space for updates, locations and timings on each course. 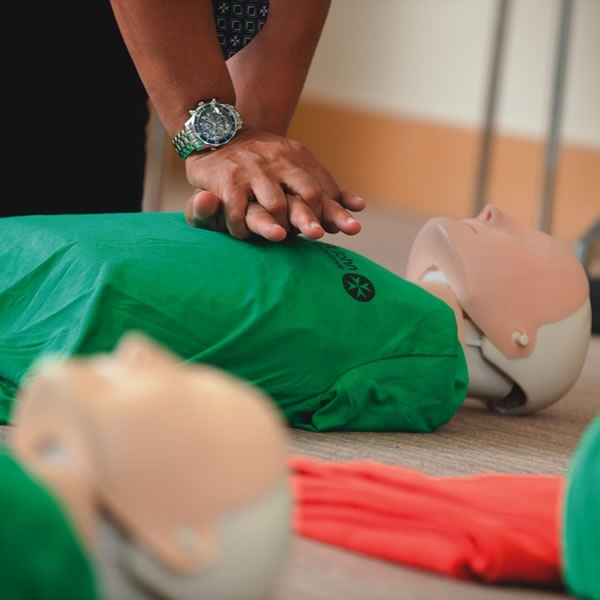 This course is for anyone who would like to learn first-aid, but is especially suited for nominated first aiders in smaller, low risk working environments. 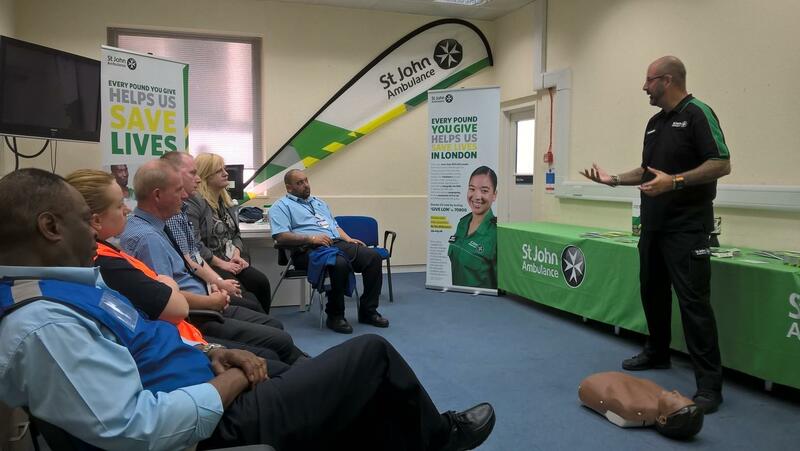 Successful candidates will receive a St John Ambulance certificate which is valid for three years. The course will provide basic life-saving first aid and workplace health and safety regulations covering everything from managing an emergency and the role of the first aider to resuscitation (adult CPR) and what to do when there is an unresponsive casualty. strengthen and manage the mental wellbeing of their staff. The course first teaches common mental health problems understood in the workplace, how to recognise them in you and others, what is good and poor mental health, stress vs. pressure and stigma. In the second part of the course, you learn how to manage mental health in the workplace, such as tools and techniques, early intervention, the transactional analysis model of adult-adult communication, understanding the Equality Act/reasonable adjustments and knowing where to seek help. Lastly, the course will discuss the ground rules when address mental health in the workplace (e.g. confidentiality, boundaries and expectations) to facilitate non-judgment and solution-focused learning in which delegates feel comfortable to disclose. This training is designed for all personnel to recognise suspicious behaviour or activity, engage with individuals in a friendly purposeful conversation and act upon their suspicions. It aims to create a sustained, disruptive environment that denies ability of those with hostile intent to operate effectively. An important aspect of creating this sustained disruptive environment is generating the right behaviours in existing staff at a site to help achieve this with or without a police presence. This succinct training is offered by the Centre for the Protection of the National Infrastructure (CPNI) in partnership with the National Project Servator Delivery Team (NPSDT) based in the City of London Police and the Metropolitan Police Service, we will bring this training to our members. GDPR is a hot topic on all organisations’ agendas as it becomes mandatory on 25 May 2018. General Data Protection Regulation (GDPR) proposed by the European Commission will strengthen and unify data protection for individuals within the European Union (EU), whilst addressing the export of personal data outside the EU. GDPR aims to make it simpler for people to control how companies use their personal details. Strict regulations mean that companies will not be allowed to collect and use personal information without the person’s consent. The UK government maintains that GDPR will continue following Brexit. 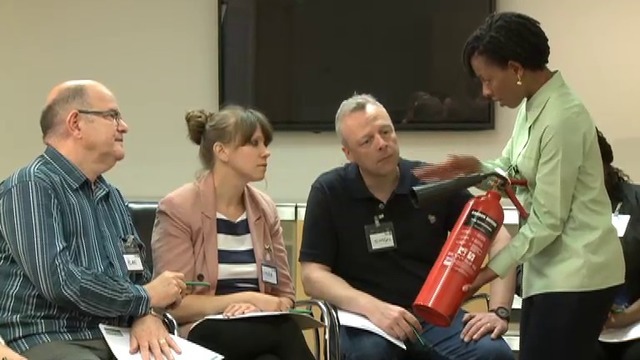 This is more useful for those who are responsible for overseeing fire safety in the workplace, designated fire marshals and anyone who needs to know how to use a fire extinguisher – arguably anyone in the office. The course aims to provide you with knowledge on fire regulations and safety, like what to do when discovering a fire, common causes of fire in the workplace, how to carry out a proper fire drill, the role of fire marshal and how to appropriately use a fire extinguisher. This counter terrorism briefing is most relevant to managers, business owners, receptionists and security team. The workshop will cover the current nature of the terrorism threat, how to look out for – and report – hostile reconnaissance, what to consider in the event of an incident and how to deal with suspicious items. Project Argus can help organisations in any number of sectors, including office, retail, hospitality, education, health and the night-time economy. Most useful for HR and recruitment professionals, as well as those who are required to verify ID documents on a regular basis, as this workshop trains others how to better understand employee identity documents. By teaching practical steps, the workshop will increase businesses’ understanding of identity documents and the potential for abuse. 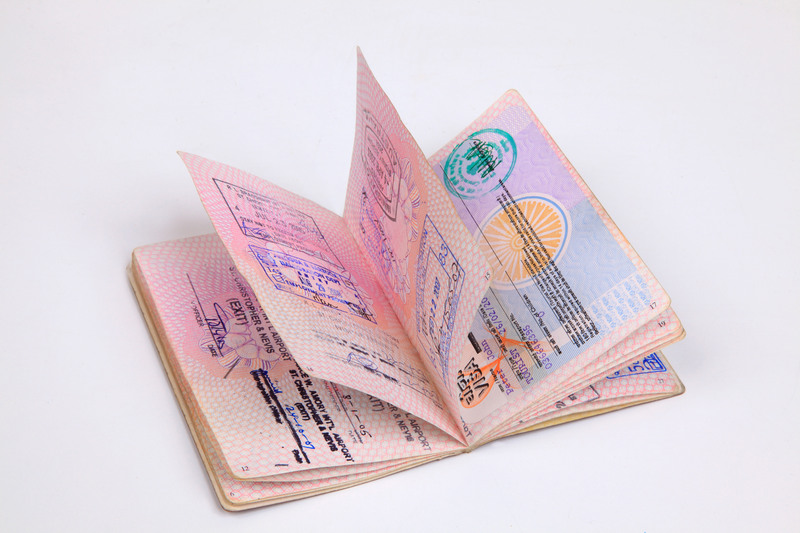 It includes hands-on examinations of both counterfeit and genuine documents to gain a better understanding of the security features used. Attendees will learn about: Document Construction, Watermarks, Intaglio ink, Latent images, UV, Optically Variable Inks and Microprint. Targeted at managers in facilities, security and reception, Project Argus also welcomes staff responsible for making, maintaining and executing contingency plans. An interactive counter terrorism workshop to provide organisations with practical solutions in case of emergencies. It is advised that more than one person attends from each organisation, as in the event of a major incident, anyone within an organisation could be in a position where they need to exercise a response plan.